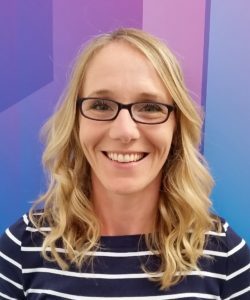 Habit5, one of the leading market research agencies in the East Midlands, are delighted to announce that they have recruited Hannah Green as their first Head of Insight. Hannah can draw upon over fifteen years’ experience in customer insight and analysis roles, gained in both the public and commercial sectors. Hannah Green – new Head of Insight at Habit5. Hannah joins Habit5 from Barbon Insurance Group, where she was Customer Insight and Marketing Analyst for nearly three years. She has previously held roles at John Greed Jewellery, Ideal Shopping Direct, Syncapse, Lincolnshire County Council and the NHS. Habit5 is full-service research agency and strategic marketing consultancy, accredited as a Company Partner by the highly-respected Market Research Society (MRS). Habit5 defines, designs, conducts and reports on all forms of market research from nationwide online surveys to in-home depth interviews. Habit5 can assist clients with brand or product development and launch, customer satisfaction, employee engagement, refining communications, optimising the customer journey and much more besides. Working with clients nationally, regionally and locally, Habit5 has recently successfully conducted research projects for among others: Mercedes-Benz, Interflora, John Innes Centre, Bibby Financial Services, Perrys, PKF Cooper Parry, Gateley Plc, Lincolnshire Co-op, The Woodland Trust, Bishop Grosseteste University and Visit Lincoln. Habit5 was established in June 2013 and operates from the Sparkhouse Studios building on the University of Lincoln campus.